The spirit of Ibiza, in Germany’s northwest. Oldenbora is an electronic music festival held each year close to the German town of Rastede. 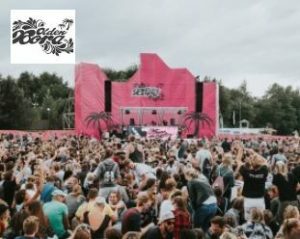 Taking over the Beachclub Nethen on the banks of a lake, the one-day festival keeps the party going until the early hours. More than a decade on from its debut, Oldenbora can now boast line-ups that consistently include stars of the scene, with the likes of German veteran Moguai and Stil vor Talent boss Oliver Koletzki among those performing this year. And with a whole day of partying on the beach, sound tracked by the summer sounds of house, electro, techno and more, the lakeside spectacular brings the spirit of Ibiza to the Germany’s northwest.